Guess who tuned numero dos?! Our little boy!! 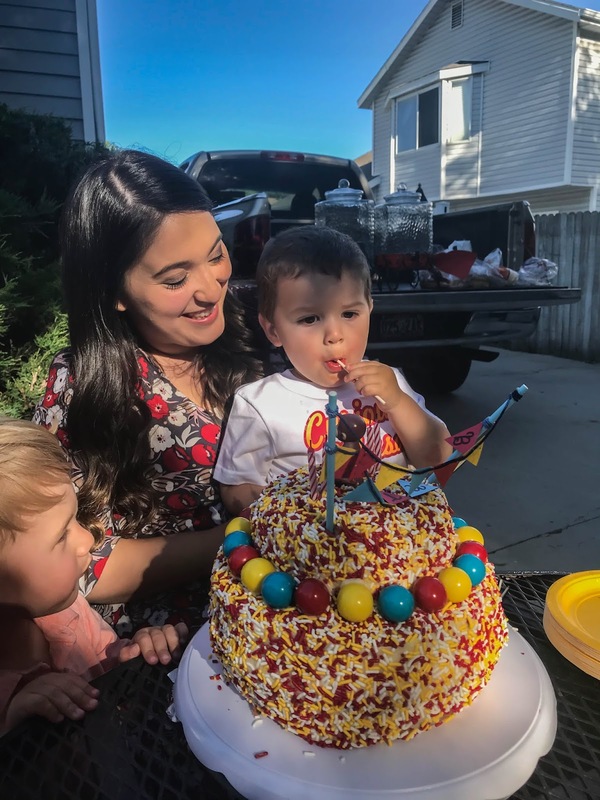 Another year has flown by and our mason man is now 2...cue the tears :'( Just like last year, I am stunned how a year has pasted us by and mas is a year old. I thought when he turned 1, that it came quick, but this year, mas turning two snuck upon us. 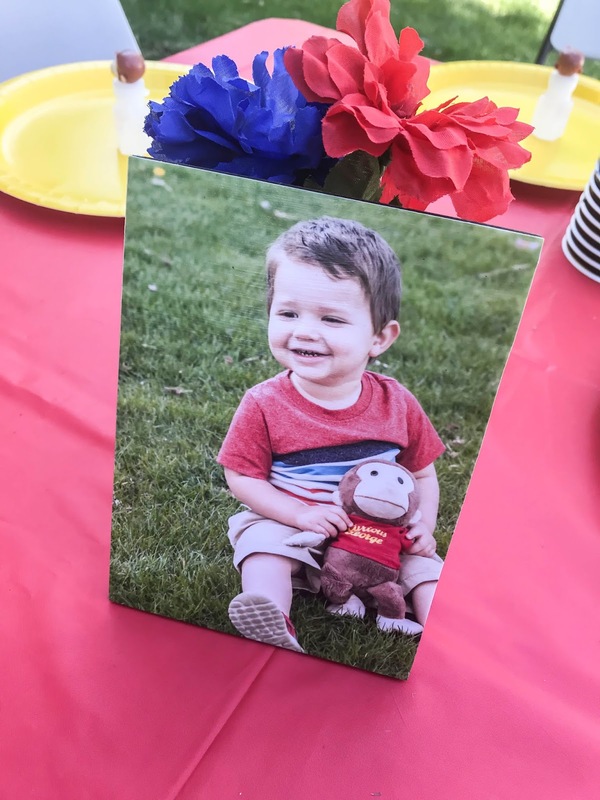 All of sudden he was 22 month old and I realized that I had nothing really prepared for his birthday party and that him turning two was right around the corner! 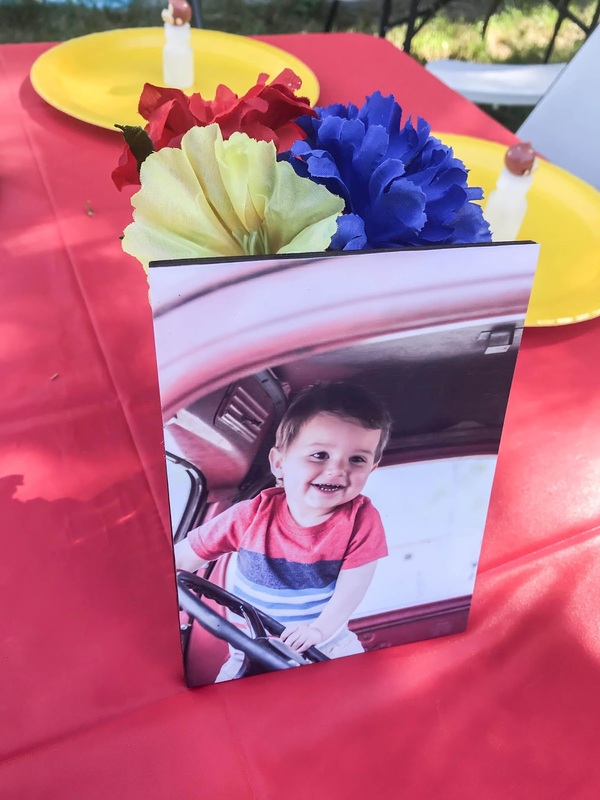 As his birthday was getting closer, I couldn't help but think how much our mason has grown and all the happiest memories we've made together as a family this year. It's truly amazing how much can happen in one year. Mason is becoming so independent and showing what kind of personality he has and the person we think he's going to be. 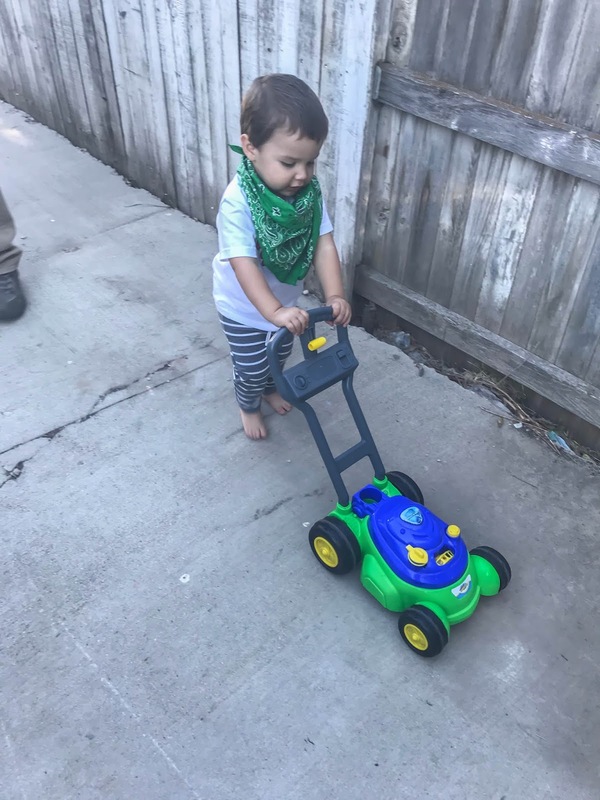 Since mason last update, which was his one year birthday post; he had started walking and is now full on independent little guy, I bet he think he runs the show haha. He want's to do things on his own and really doesn't want help haha. His vocabulary has increased so much from, "thanks mommy", "I want it" to "please" and " I love you" it's truly the cutest thing! He is more adventurous now, I think when he learned how to walk is when the no fear stage started and believe me it's still going. We swear he has no fear! He loves to climb no matter how high or jumping off anything... I mean anything. Haha Rex and I always say that other parents would be very iffy and always have a watchful eye on mason if they didn't know that this was already his personality. 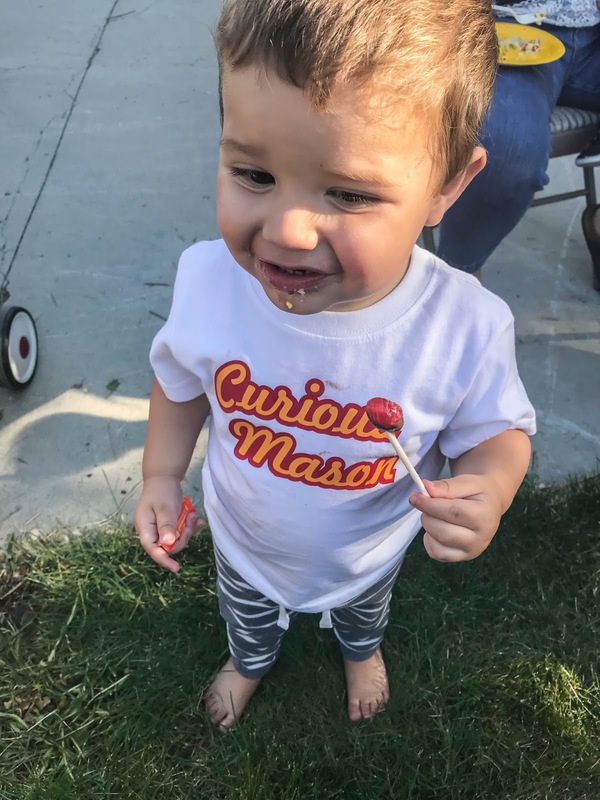 Mason is also very smart, even though he has toddler moments of tantrums in public (sarcastic giggle) he is also very understanding of his surrounding and compassionate. He loves to point out planes, dogs, kitties, birds, butterflies, bee's and so much more. 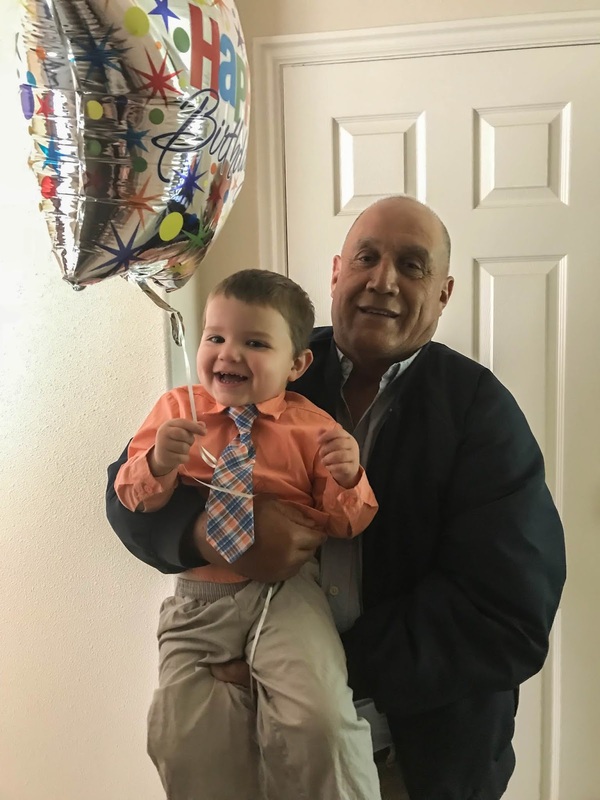 Whenever he hears a baby cry, he says "baby sad" and if the person who is sad is close to him, he goes over and gives a hug. It truly melts my heart! Also within this year mason has begun potty training and I think it's going good. I know it may seem early to some, but mason showed an interest early and so we thought why not just go with it and start the potty training. I mean we have our days that accidents happen and have a week of regression, but those are happening less and less so yay! He also is a big fan of sports (gets it from mom and dad) and love having endless numbers of balls to play with. One thing that I definitely miss is little chubby-ness!!!! I mean his still has the cute chubby cheeks and dimples have popped up but there no more double chin or cute arm rolls, they were sooooooooooo ADORABLE! He's grown so much in just this year that we continue to fall more in love with him! I truly am loving every stage and I truly believe there's something to love in every stage. 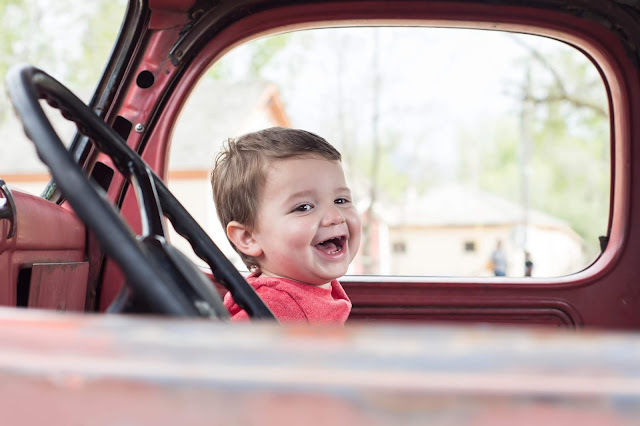 We love our big hearted and silly adventurous little man. There's a bunch of other little things he's done or said that I can't think of right now. But our little boy is healthy, strong, and growing so well! Now unto the PARTY portion of this blog post!! 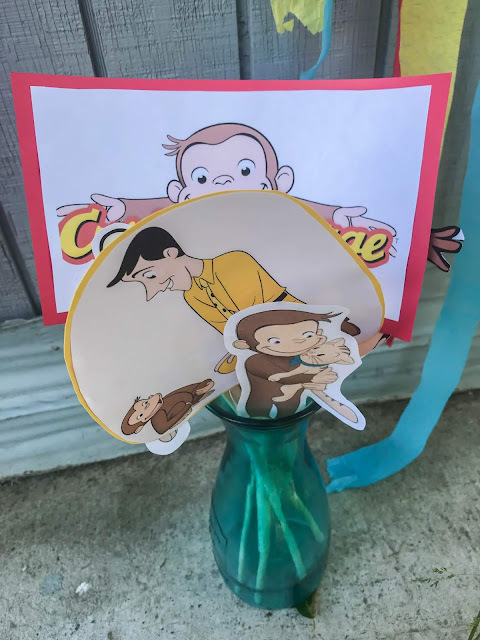 I decided to create my own birthday invites since I didn't want to spend a bunch of money on them, so thanks to PicMonkey I was able to do a fun Curious George themed one that said "Monkey see, Monkey do.. Our little monkey mason is turning two!" I loved the little saying and I also couldn't have done it without the help of my friend Tarah! I shopped for different decorations from different shops on amazon, but especially etsy that I'll tag below. 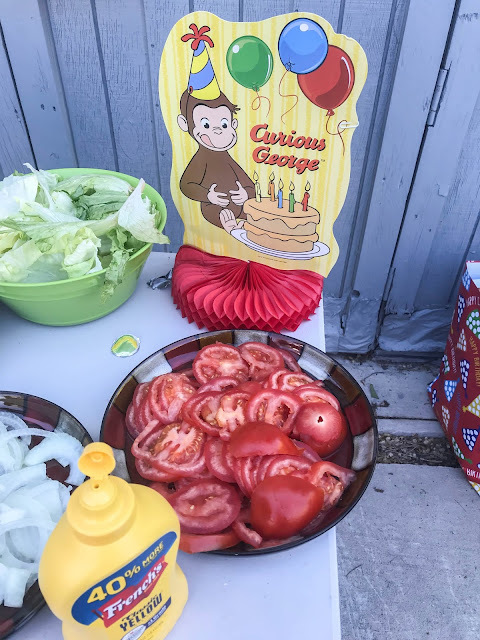 The decorations were a mix of vintage and current curious George and the party colors were yellow, blue, and red! 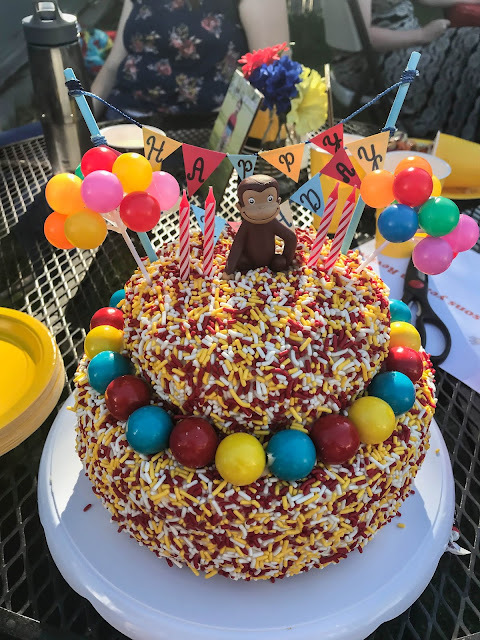 Cake: This was my first time you would say going all out on a birthday cake and I absolutely loved how it turned out! My best friends who came over for masons birthday also helped with the cake and it tasted as delicious as it looked! Definitely have learned on how to improving my cake decorating skills but in honestly it was perfect! 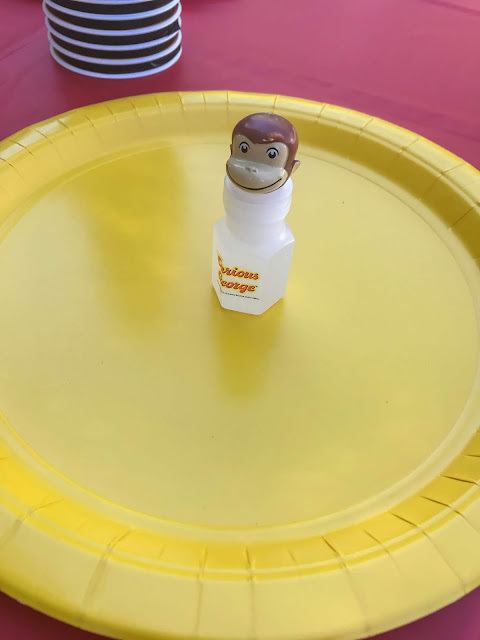 Right when mason saw it, his eyes lite up and he said "da-George" (his way of saying curious george) haha. We had hamburgers and hot dogs for the celebration and as well as other sides. 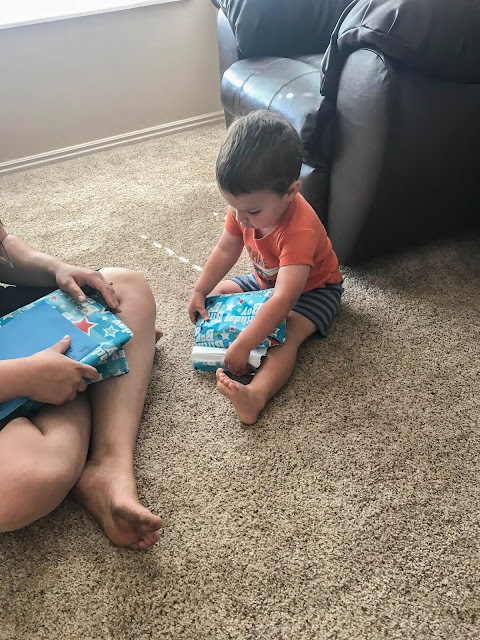 Mason was so stoked to see his presents that we may or may not have had a potty accident lol. But he was so happy to get a bike, slide, cars, clothes, bubble machine, tent, and so much more, little man is spoiled with so much love lol. 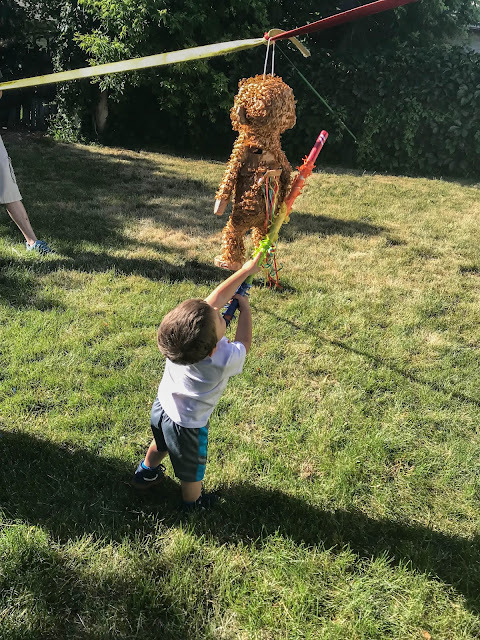 We then just talked while the kids all played and honestly it was such a wonderful fun day for our little boy. We cannot believe he is 2 and growing so fast, it needs to slow down. 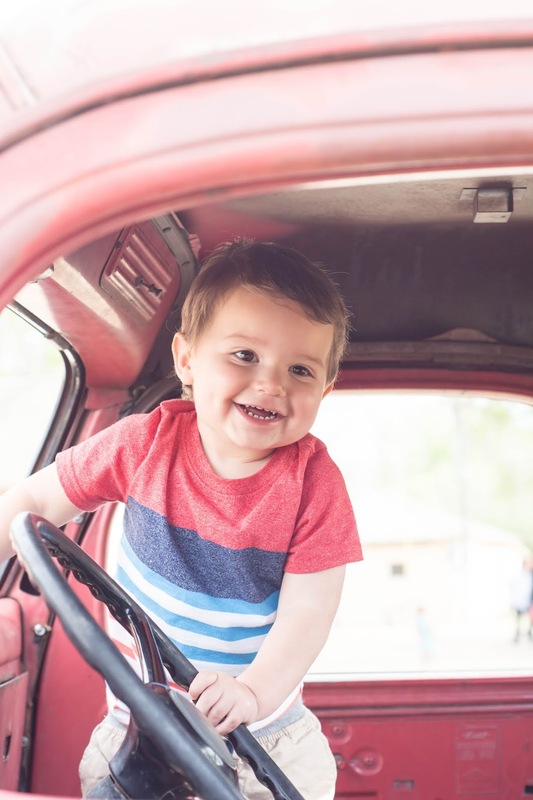 We love our sweet little silly and adventurous mas man and how he reminds us to enjoy the small things and be a little sillier! Can't wait what the next year has in store with us and our handsome little son. Mommy and Daddy love you mason! Happiest of Birthdays!